Situated along the Ganges, the city of Haridwar in Uttarakhand exudes tremendous mythological and historical value. Occupying over 12.302 sq. km, Haridwar, is the doorway to the three other major pilgrimages of India - Rishikesh, Badrinath, and Kedarnath. A major center of attention as it has been from the times of Buddha and down through the British rule and further still in the contemporary times, Haridwar offers some of the greatest tourist attractions like huge temples, busy market streets, ancient palaces, and forts. One of the much traveled tourist destinations in India for pilgrims and vacationers alike, Haridwar offers several tourist sites to be explored. Located to the north, Hari-ki-Pairi (or Har-ki-Pairi) is taken as the city’s central point, where devotees come for a holy dip in the River Ganges. 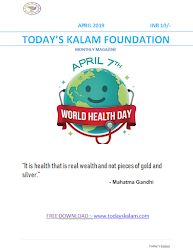 According to the legend this is actually where a drop of nectar fell as a result of the samudra manthan (churning of the oceans) – Mythically it signifies the start of the world. 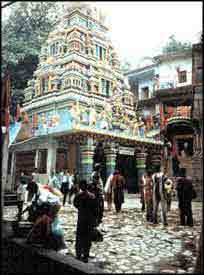 Mansa Devi Mandir, situated on top of a hill towards the center of Haridwar is reached either by cable car or by a road that runs up to the hill, starting from the Railway Road. The scenic landscape around the temple is the main attraction here. Located 5 km to the north of central Haridwar, the Bharat Mata Mandir is devoted to Mother India. Partly temple and partly nation building exercise, it has seven storeys that house deities of saints, and secular heroes of all Indian religions. Situated atop the ‘Neel Parvat’ on the eastern bank of river Ganga at 8-9km from the Haridwar railway station, the Chandidevi Mandir stands as yet another of the wonderful tourist attractions in Haridwar. Created in 1929 A.D. by the king of Kashmir, Suchat Singh, it worships Goddess Chandi. Dedicated to Lord Shiva, the Daksh Mandir is situated at 7-8 km from railway station in the southern Kankhal town, and it is witness to the advent of several tourists and pilgrims. Situated on the Haridwar-Jwalapur bypass road, this university uniquely follows the ancient tradition of Guru-Sishya technique of education. The institution also houses the Ved Mandir Museum which preserves an excellent collection of archaeological displays and exhibits artifacts of historical value. You can spot a huge assortment of bird species in Neel Dhara Pakshi Vihar. 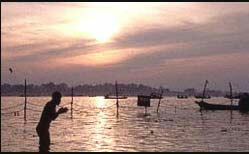 This place will charm you completely especially during the winters when it is visited by the migratory birds as well. Near Laljiwala along the banks of river Ganges you can spot the elegant Siberian Cranes. Approximately 2 km from Haridwar on the Mansa Devi temple road, is located a scenic point which offers an excellent panoramic view of the city of Haridwar and its greenery. Rishikesh, around 28 km off Haridwar, is at the base of the Himalayas and it is where the Ganges comes down to the plains from the hills. 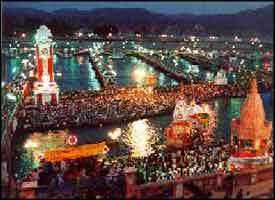 The Kumbh Mela is one of the most hugely attended festivals in Haridwar. The history of the Kumbh Mela goes back to the creation of the Universe and people from various religions and communities from all over the world gather here to take a holy dip in the Ganges.